How Destin R. Lost 145 Pounds and 18 Sizes! How Dan W. Lost 70 Pounds! It’s a burning question for the ages (or at least for while you’re at the drugstore): What’s the difference between generic and brand-name drugs? And why is the drugstore brand of pain reliever half as much as the pain reliever that comes in a blue box with a famous moniker? To get answers, I turned to LIVESTRONG.COM’s Senior Community Manager, Ann Rusnak, who was also a licensed pharmacy tech in a previous life. She explains the difference, why brand-name drugs are so expensive and more. In terms of effectiveness, there’s no difference. Generic drugs are regulated by the FDA just like brand-name drugs. They have to have the same active ingredients and work the same in the body, which is all that really matters when it comes to the medical magic (i.e., whether your symptoms are relieved). That said, a generic drug must also be the same strength, work the same way in the body and be taken in the same way as the brand-name drug. Some patients are thrown by the fact that generic drugs look a little different from the known brand, but that just has to do with U.S. trademark laws and has no bearing on how the drug works. Why are brand-name medications so expensive? Big-brand companies have more expenses to cover. They had to foot the bill for expensive clinical trials and all other costs related to developing the medication in the first place, and that is especially true for over-the-counter (OTC) drugs that used to be only available by prescription. Also, advertising and marketing campaigns don’t come cheap. Big-brand companies spend a lot of money to convince consumers that their brands work better, while generic or store brands stick with advertising in the store, on the shelf and on the packaging. How long does it usually take for a brand-name drug to go generic? When brand-name drugs first hit the market, developers typically have patent protection and/or market exclusivity rights from the FDA preventing generic drugs from being produced for a certain number of years. This is to protect the investment that the original company made to develop the treatment. For some drugs that can be billions — yes, billions — of dollars. The exact length of time it takes a generic to be available can vary. Patents are typically for 20 years, but that clock usually starts while the drug is still in development and before it hits the market. Exclusivity rights can be granted by the FDA at the time the drug is approved and can be anywhere from three to seven years, depending on a variety of factors. The two usually overlap, so that doesn’t necessarily mean 20 years plus seven years, for instance. Some drug companies work the gray areas in the system to delay generics from hitting the market as long as possible, which is why there isn’t a simple answer to this question. Are there some drugs that are better to buy brand name? In my more than 10 years as a pharmacy tech, the pharmacists I worked with consistently counseled customers to save a buck and buy generic. The only exceptions that come to mind would be where eye drops or contact lens solutions were concerned. They didn’t not recommend trying generic, but they did acknowledge that some people’s eyes responded better to specific brands, and in those cases suggested sticking with what was working for the patient. Overall though, generic options are just as effective at treating symptoms and definitely preferred when it comes to the wallet. However, there were a very few instances of prescription medications in which the brand name might have worked better for an individual — some heart and thyroid medications, for instance — but it wasn’t necessarily a case of brand being better than generic, though. For some of those patients, the brand name worked best, and for others generic was more effective. Or possibly one generic would not work for them, but a different generic of the same drug did. (Just as with OTC drugs, there’s often more than one generic brand available for a drug). For some of those extremely sensitive conditions, the fillers and inactive ingredients can make a difference for a small percentage of patients. When in doubt, ask the pharmacist. What should I look for on the ingredient label when comparing generic and brand-name versions? It’s all about the amount of the ”active ingredients” to make sure you’re buying the right product. Everything else is just fillers and has nothing to do with whether or not the drug will treat your symptoms. Remember, generic drugs are regulated by the FDA the same way as branded drugs, and it is those active ingredients that have to match up for approval. Legally, the generic drug cannot look exactly the same as the brand-name drug due to trademark laws, so the inactive ingredients (which help determine how the drug will taste, what color it is, etc.) will almost certainly not match, and that’s OK.
Have there been any notable cases in which a generic did not live up the brand-name version? Not that I’m aware of where over-the-counter drugs are concerned. 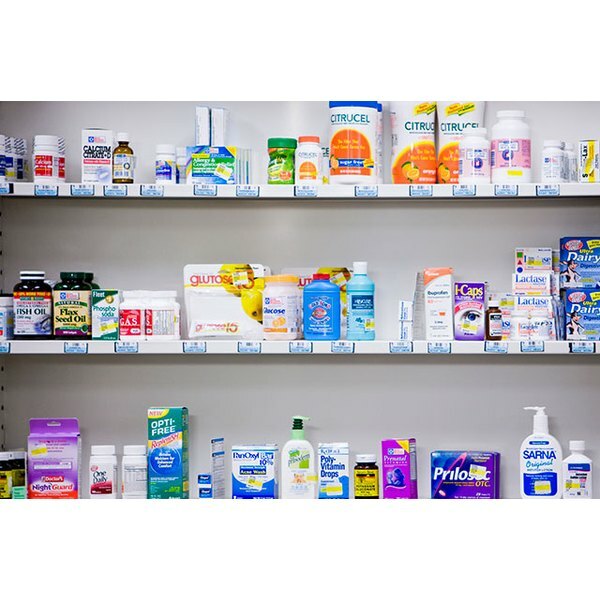 Many probably remember (and might have been confused by) the incident in the early 2000s when it seemed like all of the cold-medicine shelves at the pharmacy were wiped clean overnight. The FDA had issued an advisory for the ingredient phenylpropanolamine at that time, and both generic and brand medications were affected. In that case, it wasn’t an issue with the generic drugs, but rather an active ingredient used in both brand-name and generic formulations. What happens when a drug goes from “prescription only” to “over the counter”? Once enough time has passed that it can be determined that a medication is safe enough that oversight of a health care provider is not necessary for it to be administered, the lengthy process to switch to OTC status with the FDA can begin, typically by the company that initially developed the drug. Both prescription and OTC medications are carefully regulated, so drugs that make the switch are absolutely safe. Some well-known OTC drugs (and their generic counterparts) that many forget used to be available only by prescription include Advil (ibuprofen), Benadryl (diphenhydramine) and Nyquil (doxylamine succinate), to name a few. If generic is just as good as brand name, why do we even need the expensive brand-name drugs at all? Generic drugs are cheaper because the manufacturers don’t have to go through the lengthy research and testing process necessary to develop new drugs. They help keep health care costs affordable, which is obviously important. However, we need companies that are willing to take on the challenge of developing new drugs to improve our ability to treat and cure disease too. Both are important pieces of the overall puzzle. Readers — Do you buy generic or brand-name drugs? Do you notice a difference when you take one or the other? Do you think the high cost of brand-name drugs is justified by the expense of research and development by drug companies? Leave a comment below and let us know. Lili Ladaga is a content editor for LIVESTRONG.COM. She’s a former couch potato turned Pilates fanatic who enjoys hiking, traveling and eating everything — in moderation. You can follow her on Twitter at @leftcoastlili. Ann Rusnak is LIVESTRONG.COM’s Senior Community Manager. Her quest to lose the “baby weight” before the “baby” finished elementary school sparked an interest in health and fitness that continues to be a passion to this day. She loves hiking and yoga and thinks the best exercise is one you can do with a good friend. Over the years, Ann’s desire to fit into a certain size has evolved into what she feels is the more important goal of feeling good and having energy to live life to its fullest.